Τhe Earth is covered by 71% of water, with oceans to hold about 96.5% of all Earth's water (90% of the world's living biomass is contained in them). Globally, the fish stocks are over-exploited, depleted, fully exploited or in recovery from exploitation in a portion of 85%. We may be the last generation able to catch food from the oceans and seas. Aquaculture is the alternative solution for sea and inland waters food production. According to FAO, aquaculture is probably the fastest growing food-producing sector and can be a sustainable solution for fish production. The latest FAO 2016 report highlights that fact. In 2014, world aquaculture production attained another all-time high at 73.8 million tonnes. The global capture fishery and aquaculture production was 93.4 million tonnes. In total fisheries and aquaculture production was 167.2 million tonnes (146.3 mt for human consumption and 20.9 mt for non-food uses). In order to maximize production and also having sustainable management of the aquatic environment the key issue is to exchange reliable information on all related subjects. 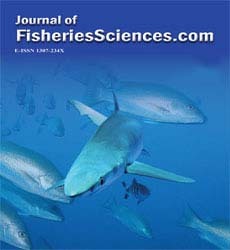 The current issue of the ‘Journal of FisheriesSciences.com’ comes to cover part of these aspects. Pappa et al. highlights the aquaponic production in Greece and the available software for aquaponics. Aquaponics is the combination of fish farming in recirculating aquaculture systems (RAS) and cultivation of plants in water (hydroponic). The effects of algae based diets on growth performance, body composition and fatty acid profile of Indian Major Carp were studied by Mishra et al. The suitability of algal meal diets was evaluated against rice polish, GNOC and soybean based control diet for promoting growth and FA content of rohu over 56 days. The feed and protein efficiency with Westleopsis prolifica, Nostoc salbasa, and Spirulina platensis three algae based diets were superior to that of the control diet contained rice polish, groundnut oil cake and soybean meal. Schmidt et al. focus on the effect of prebiotics glucan/MOS on growth and fitness of Starry flounder (Platichthys tellatus) and on the viability of Starry flounder as an aquaculture candidate. The observed growth performance and the feed conversion ratio, especially at low water temperatures, suggest that Starry flounder is a promising candidate for aquaculture in temperate regions. The possible use of ultrasonography for monitoring of gonad maturation in Mahseer fish is another interesting subject investigated studied by Asmaa Abd Razak et al. The results showed that the preprocessing method by using the Median speckle filtering method in the gonad ultrasonography image was the best method to eliminate the speckle noise or other spot other than the eggs in the image especially in Mahseer’s gonad ultrasonography image. Ashwitha et al. isolated bacterial from curd and evaluated its bactericidal potential against two aquatic pathogens Salmonella sp and Vibrio sp isolated from marine fish. The study proved the efficiency of bactericidal and biopreservative activity of bacteriocin isolated from Bacillus subtilis. The feeding, the growth and the condition factor of ornamental fish from Brahmaputra River at India investigated during February 2014 to January 2015 by Dibya et al., while Adi et al. determined the effect of different concentrations of atrazine and metolachlor on African catfish haematological parameters. 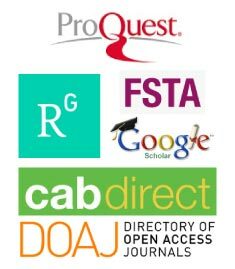 Abujam et al. studied the fish diversity and livelihood of fishermen residing in and around of Tezu river at Tezu in Lohit district, Arunachal Pradesh, India. Lohit River and drainages system has been provided livelihood of the fishermen and demonstrate a number of ornamental and edible fishes. A study that evaluated the survival of Seriola lalandi larvae cultivated in a mesocosm system and inoculated in submerged PVC cages with mesh walls and bottom was performed in Chile by Plaza et al. According this study the use of probiotics to optimize cultivation systems serves as an example of an ecological remediation alternative that can be applied to other cultures of commercial interest. The last article of this issue is a study on determination of categories of soil quality variable concentrations in brackish water ponds of Java Island, Indonesia. According Mustafa et al. aimed to provide information on categories of soil quality variable concentrations at two different soil depths of pond soils in Java Island. This activity was as the initial categorization to interpret soil quality variables in categorizing soil quality variable concentrations as very low, low, moderate, high, or very high and for making decision in pond soils management.